Q1: This is our first interview with you. So, at first, could you tell us about yourself? What kind of music were you listening to, when you were growing up? Who was your drum hero at that time? 【BASTIAN】: My name is Bastian Thusgaard. I’m a Danish drummer playing in bands such as Soilwork, The Arcane Order & Dawn of Demise. I grew up listening to rock music and I quickly discovered the heavy metal genre. 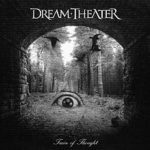 Growing up I was a huge fan of Dream Theater and Mike Portnoy must have been one of my first heroes. I also listened to bands like Machine Head, Lamb of God and obviously Soilwork. The drummers in those bands has definitely influenced me a lot as well. Q2: You joined Soilwork as a successor of now Megadeth’s Dirk Verbeuren. How did it happen? 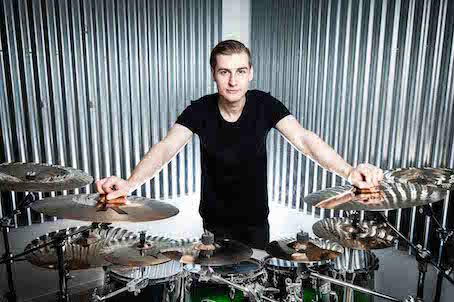 【BASTIAN】: The first time I met Dirk was at one of his tour lessons a few years back. After that lesson we sort of kept our communication going and Dirk was very helpful guiding my in the music business. When he got the Megadeth gig he emailed me and asked me to fill in for him that summer which was a great honor and opportunity for me, so I grabbed it. When he stayed in Megadeth, Soilwork still had like half world tour to compete, so it was natural for me and the band that I stayed. We connected in a very good way so eventually they asked me to join fulltime. 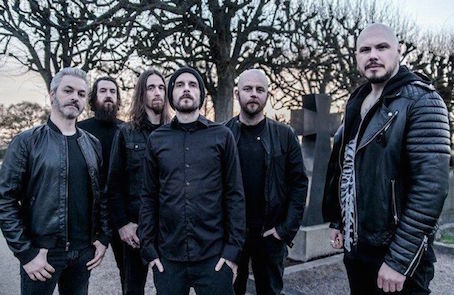 Q3: In the huge discography of Soilwork, what’s your favorite album and songs? And in the live performance, which one is the most challenging for you? 【BASTIAN】: Personally I think that the album that speaks to me the most is The Living Infinite. It’s hard cause I find all albums great in their own way, but with TLI I think Soilwork was in such a good place writing that double album. The songs are crazy good and have so much emotion to them. In the live performances I think some of the more intense songs can be challenging. I was never the fastest drummer around, so I have had to really work on that. 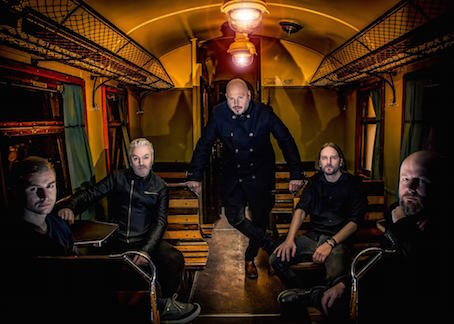 What can be tricky at Soilwork shows is that the majority of the songs are in a decent mid-tempo and then the few fast songs are like super fast. It happens that we play 5-6 songs in a row that are very easy tempo-wise and then one super fast song after. It feels like going from 0-100 in a second and sometimes that can be tough. 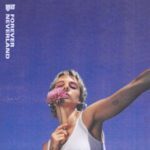 Q4: OK, let’s talk about your newest record “Verkligheten”. It seems Verkligheten means reality in Swedish, right? What was the inspiration for the title and the lyrical themes of the album? 【BASTIAN】: Yes, ‘Verkligheten’ means reality in English. I know that Soilwork wanted to name an album with a Swedish title earlier, but it never really seemed appropriate. 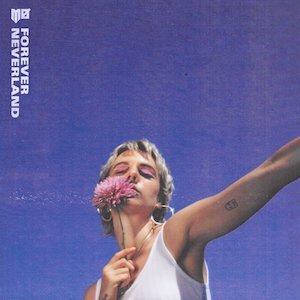 This album surrounds themes like Swedish suburban melancholy and the struggles we face in everyday life and it flirts with the idea of escaping reality when its constant reminders becomes too much to cope with. The album it really dark, but somehow very uplifting, almost therapeutic to listen to I would say. 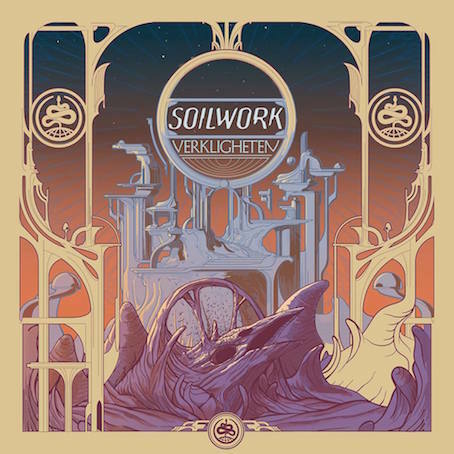 Q5: I feel “Verkligheten” is the deepest record in the discography of Soilwork. I mean, it will require repeat visits and time to absorb. But also, it’s really catchy and have a possibility to reach non-metal listeners. Do you agree that? 【BASTIAN】: Yes, I think ‘Verkligheten’ is the kind of album you will keep discovering layers in when listening. It has a lot to offer. With this recording we were all very involved with the process and we did put a lot of thought into what the songs needed. That approach have made some songs less busier and much easier to take in which is a good thing in my opinion. Q6: I think 80’s is one of the key of “Verkligheten”. Actually, after “The Ride Majestic” Bjorn & David have been contributing to his 80’s focused project The Night Flight Orchestra. 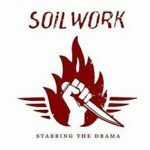 Does it relate to Soilwork’s new direction? 【BASTIAN】: Well, Björn and David were the main song writers on ‘Verkligheten’. They are also the main writers in TNFO, so it is hard to avoid references completely I think. However Soilwork shapes the songs like we do and TNFO like they do. I guess there are similarities, but we are still two very different bands. 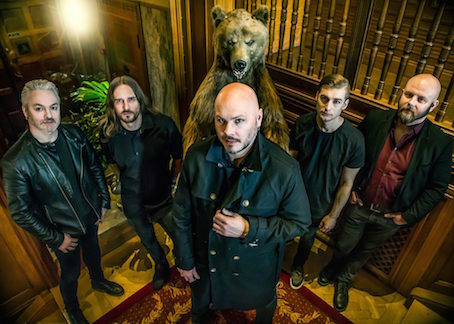 Q7: From fast blast-beat to tribal rhythm, you showed your great ability to the royal Soilwork fans around the world. 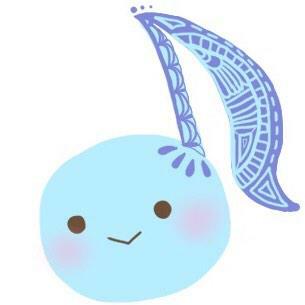 Maybe, there seemed to be kind of pressure to succeed Dirk, but you done it in your unique, own way, right? 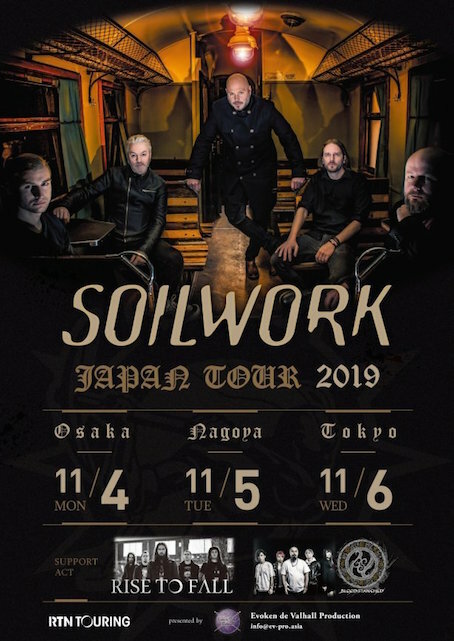 【BASTIAN】: My mission with ‘Verkligheten’ was to honor that drum vibe that has evolved in Soilwork through the years and at the same time consider my own style and the drummer I am. 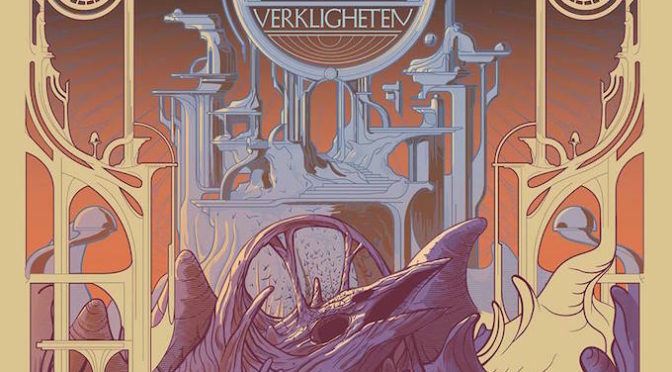 I am very satisfied and proud of my work on ‘Verkligheten’ so I have been more excited to see reactions to our album than feeling the pressure to be honest. Dirk is an amazing drummer and I love what he does, but I am a very different drummer even though I am very influenced by him. I tried to fusion our drumming styles to make it more personal yet still Soilwork. Q8: So, you’ll kick out co-headline Tour with Amorphis. You know, I think you two departed from Melo-death origin, and explore own realm. What’s your perspective about the common points between these two Scandinavian giants? 【BASTIAN】: I think both bands has some similarities, but we all manage to move in each of our directions which makes this tour package so great. I think Soilwork is more energetic tempo-wise where Amorphis really builds up a lot with big epic soundscapes that creates some really great anergy. With both bands being diverse and still go heavy on melodies and catchiness it seems like this co-headline is something that appeals a lot to the metal fans. 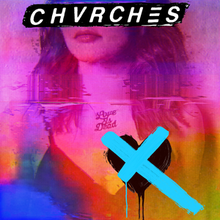 I don’t know if all these album changed my life, but they definitely make me feel very good and inspired. They are all albums thats I often re-visit. We are truly sorry about postponing our scheduled shows in Japan. We hope that our fans will understand that this was not an easy decision for us. However it had to be made. We were really looking forward to bring our new album to live in Japan so we regret that it has to wait a little bit longer. We Kindly ask for your patience and we promise to make it up to you.